What do we say to the God of Death? See ya later. Hey Game of Thrones viewers, how are you doing this morning? Do you need a hug? A quest for bloody vengeance? Maybe some fan theories about how all your favorite characters are still alive? It’s been four years since A Dance With Dragons came out. 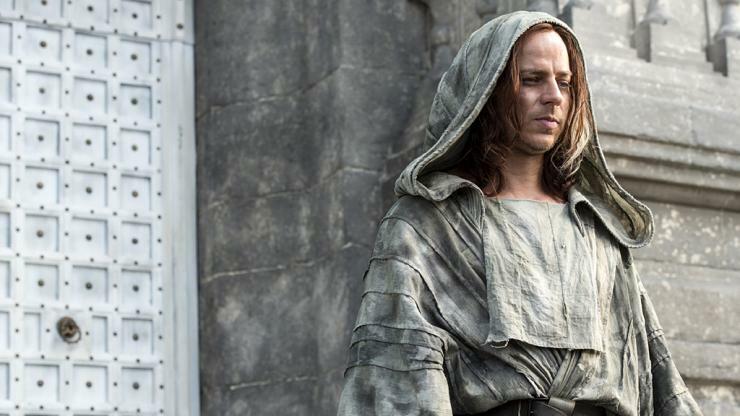 Fans have been using that time to speculate wildly on how their favorite characters survived. Come, join us book readers in clinging to our slender threads of hope. Jon also ends up stabbed by his sworn brothers at the end of A Dance With Dragons, in a scene that plays out pretty much exactly the same in the book. While he’s certainly dead now, there’s no guarantee that he’ll stay dead. Sansa’s story in this season has been combined with her friend Jeyne Poole. In the books, Jeyne is sent off to marry Ramsay Bolton, while pretending to be Arya Stark (long story). She befriends Theon, and the two jump off the wall together. In the books, Jeyne and Theon survive the jump by landing in a snowdrift. They end up tagging along with Stannis’s army. In the books, Sansa is still at the Eyrie, preparing to marry one of Robert Baratheon’s bastards. It looks like she still has a big part to play in the story. In the books, Myrcella is injured but alive. However, the “Gold will be their crowns and gold their shrouds” line from the beginning of this season is straight out of the books, so the likelihood that she’ll still be around by the end of the story is low. It’s no secret that Sir Robert Strong is the Mountain, resurrected by Qyburn’s evil alchemy. We last saw Sandor grievously injured. In the book A Storm of Swords and the show, Arya walks away from him rather than giving him a merciful death. However, in the books, Brienne is playing detective (long story) and ends up in an island monastery run by priests of the seven. She notices that Sandor’s distinctive horse is there, and an evasive monk drops a series of hints about how “the Hound” has died while refusing to say outright that Sandor is dead. Brienne sees a hooded gravedigger who just so happens to be the same size as Sandor with the same distinctive injuries, but gets distracted by a passing dog. Get it??? In the books, Shireen is still alive and hanging out at Castle Black. However, the producers have hinted that they got this particular twist from Martin.